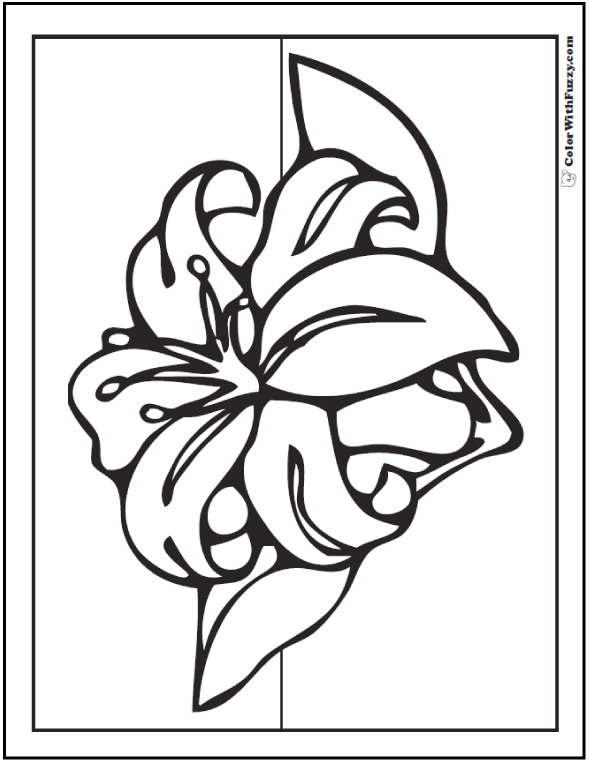 See Easter, Calla, Stargazer, Stella Doro and other lily coloring pages. 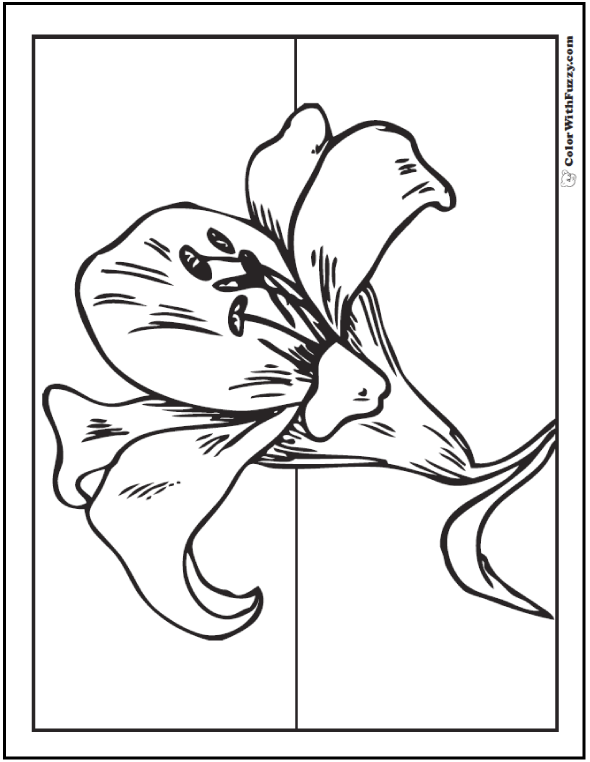 Lily coloring pages have such elegant lilies to color. 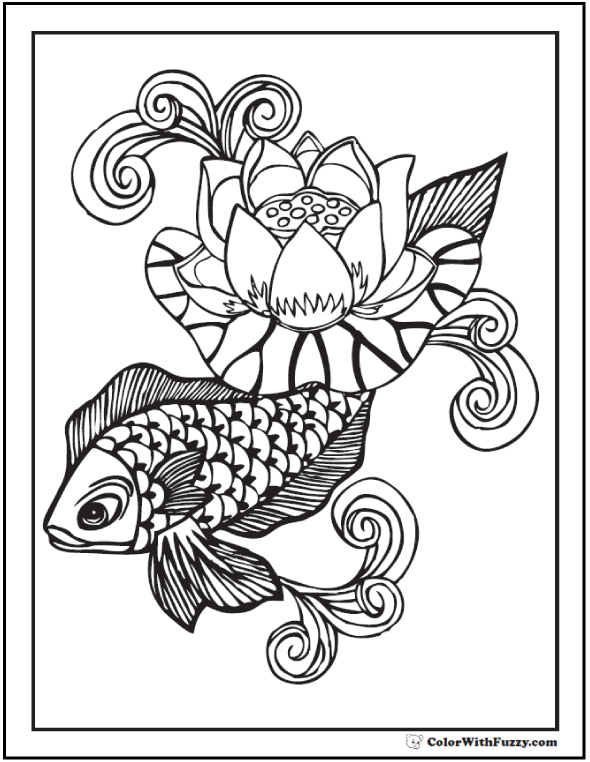 My favorite is the lily pad in the pond with the goldfish swimming underneath. There are so many places to put bright colors contrasting with the dark leaves. The swirls in the pool are cool. 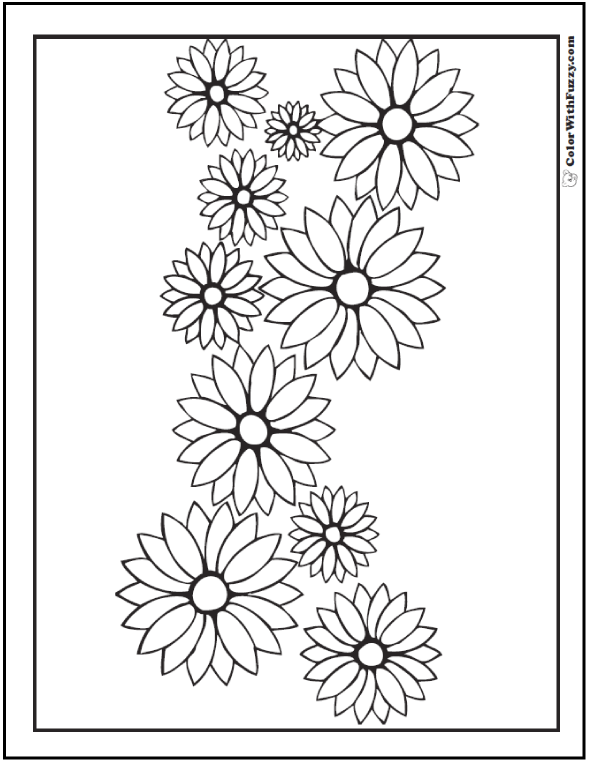 These can be colored almost any flower color. 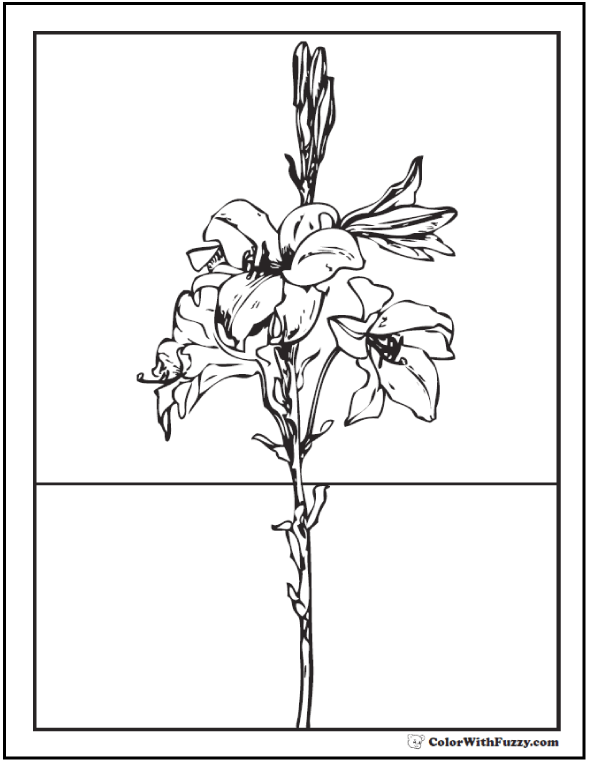 The middle one reminds me of a Stargazer lily because it faces straight up looking at the stars. 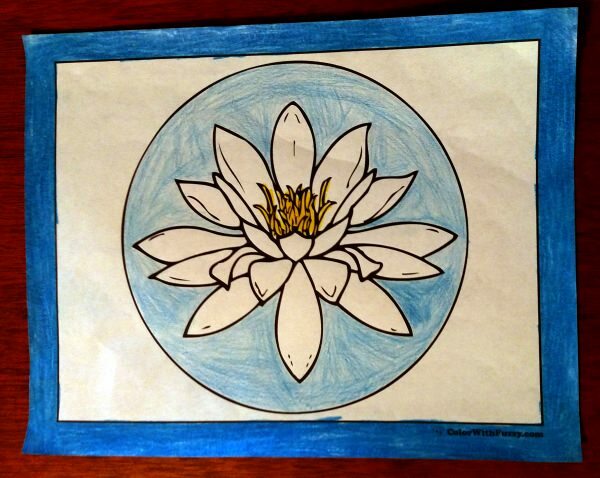 Did you know that the lotus flower is the same as a water lily? I like to see lily pads. They make me think of frogs. One of these has a beautiful goldfish swimming in the water. 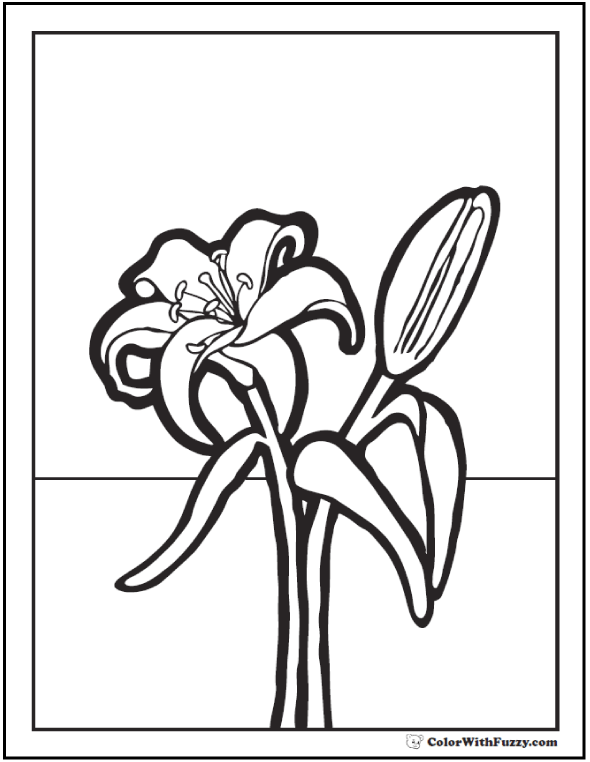 Lilies are for both children and adults. 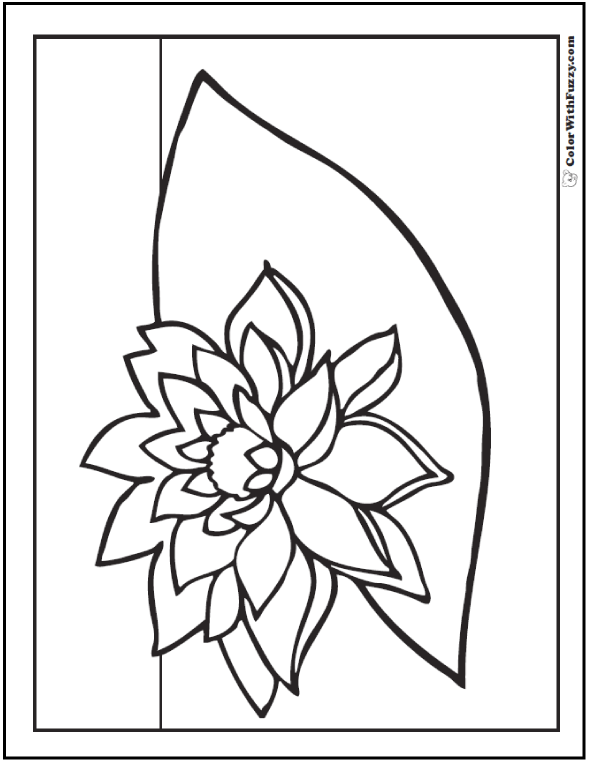 Children would like to know which colors to use for a lily. 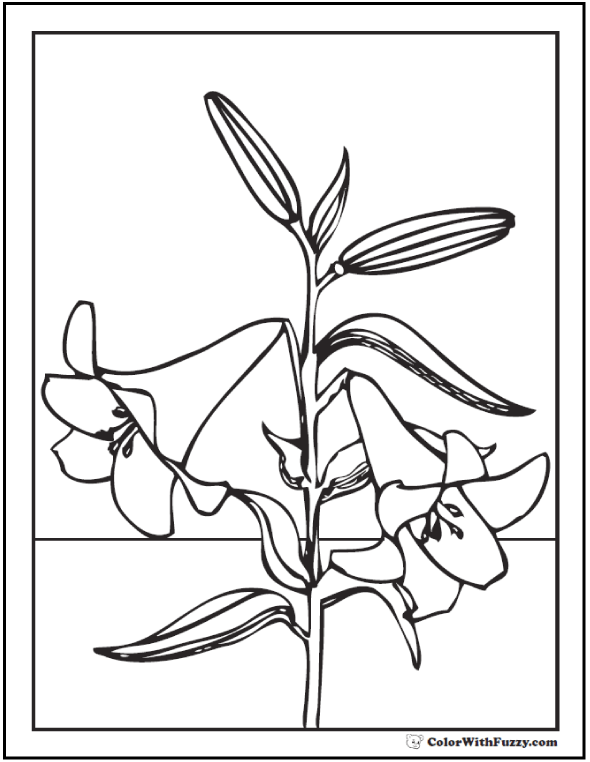 The Easter lily has white blossoms, where a tiger lily has orange. There are pinks and yellows, too. My favorite yellow flower is the Stella D'Oro. 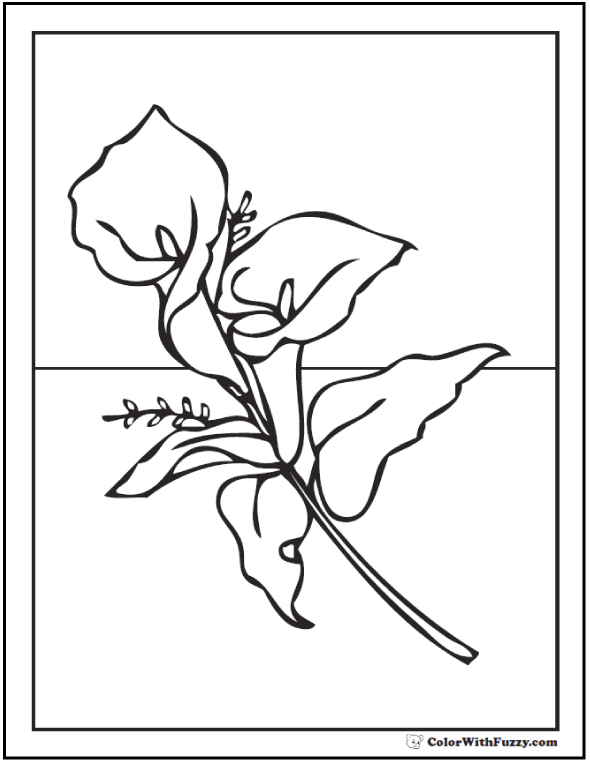 It blooms all through the summer season. 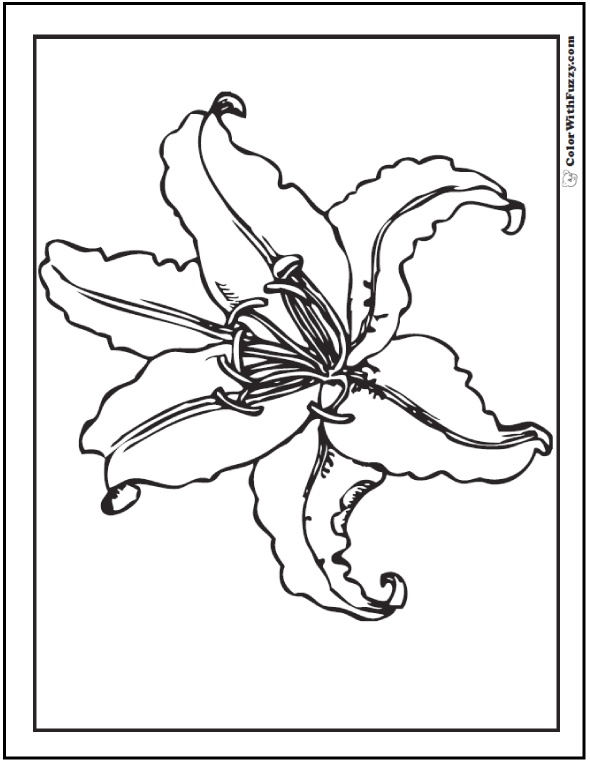 You might also like a pink Stargazer lily. 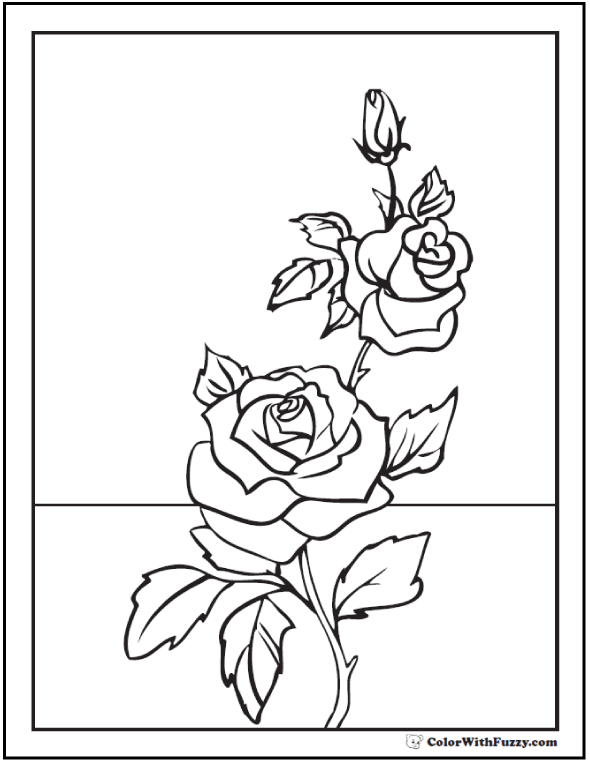 Remember to leave the edges white. 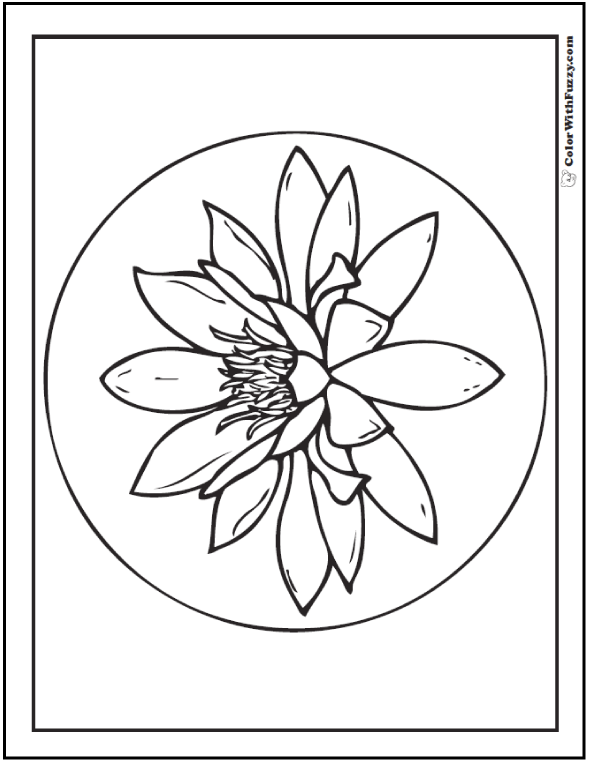 Preschool and kindergarten children can use the lily theme for spring and for Easter. 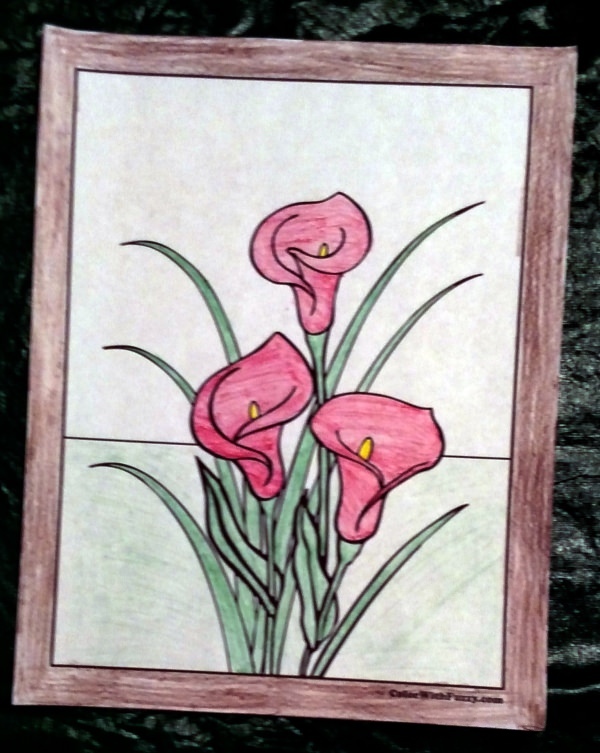 Adults like receiving coloring pictures, but they also like coloring them. 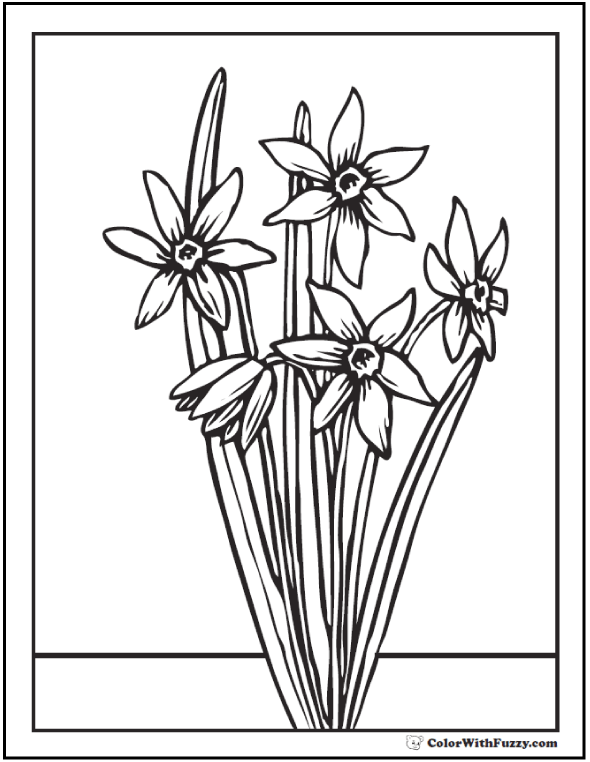 Grandma and Grandpa can also make beautiful greeting cards with these images if they use the booklet setting on their printer. 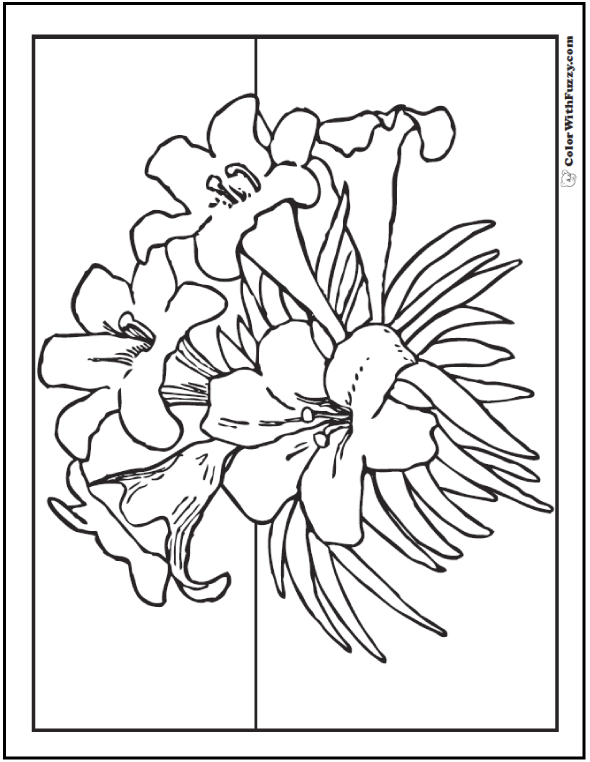 Pastels, water colors and oil crayons make these flowers into real pieces of art. Enjoy! 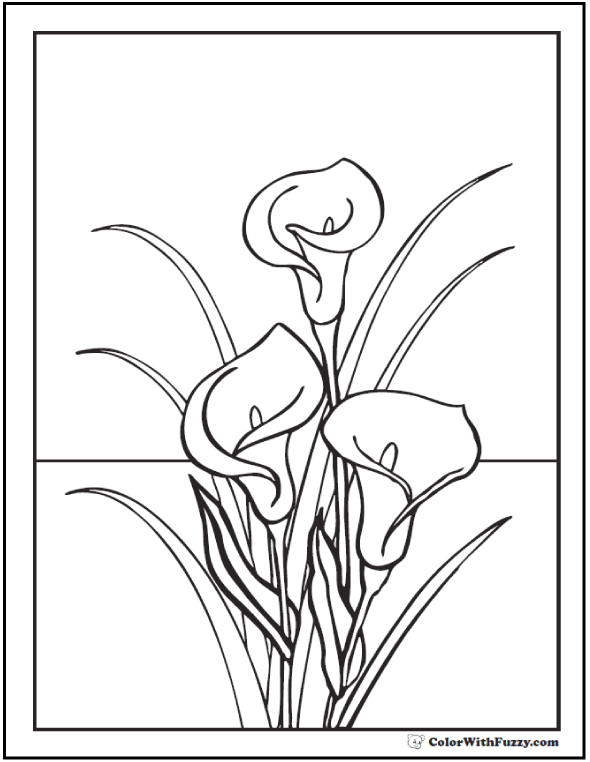 Beautiful Calla Lilies and other lily coloring sheets.